Run Boy Run features brother and sister Matt Rolland (fiddle, guitar) and Grace Rolland (cello, vocals), sisters Bekah Sandoval Rolland (fiddle, vocals) and Jen Sandoval (mandolin, vocals) with bass player Jesse Allen completing the quintet. ‘Something To Someone’ is their second album and was recorded at Bear Creek Studios in Woodinville, WA with producers Ryan Hadlock (The Lumineers) and Jerry Streeter (Brandi Carlile). The band may call Tucson, Arizona home but their acoustic blend of Bluegrass, Folk and Americana seems firmly rooted some 2000 miles across country in the sounds of the Appalachian South and is a treat for fans of traditional American music. The opening duo of tracks set the scene nicely with a high airy lead vocal and busy instrumentation propelling ‘Under the Boughs’ and ‘Wild Bill Jones’ in the direction that fans of the genre will enjoy and it works well. From a personal viewpoint the album really picks up as it slows down with ‘A Dream in the Night’ a seductive offering with cello and bass breathing life into a song that ends far too soon. ‘Spin a Golden Thread’ builds slowly with the prominent bass thump of Jesse Allen unexpectedly leading the instrumentation and supporting some quite sumptuous harmonies. ’Heavy the Sorrow’ again highlights the cello and it is the choice of instrumentation that gives the folk styling’s of Run Boy Run an added dimension with the feel of a classical chamber quartet rather than a string band on occasion. Elsewhere ‘Oh Momma (Won’t You Tell Me What to Do)’ and ‘Locket’ have a feel-good country / bluegrass vibe that is sure to appeal. The album closes with the cello adding a dark, ominous feel to the brooding title track before ‘Far From My Home / Lion and the Fawn’ an epic piece that builds from a lovely acapella vocal, adds harmonies and then allows the band, all Celtic influences and hand claps / flatfooting to stretch out musically to a more uplifting finale. 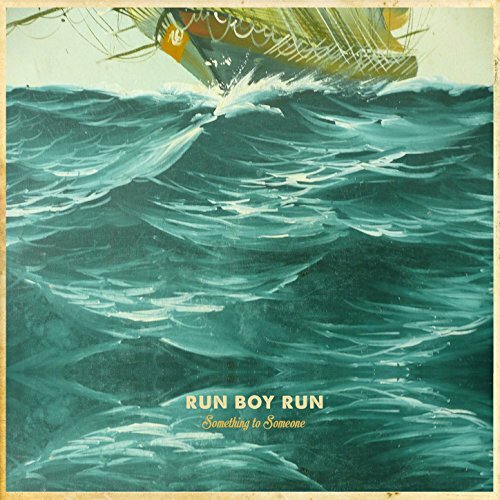 Run Boy Run have released an album which may sit outside my normal comfort zone but I’ve found myself returning to it on a regular basis. The choice of material, the blend of the old with the new, works well. The playing is consistently strong and coupled with some fine three part harmonies the result is an enjoyable album worthy of your time.